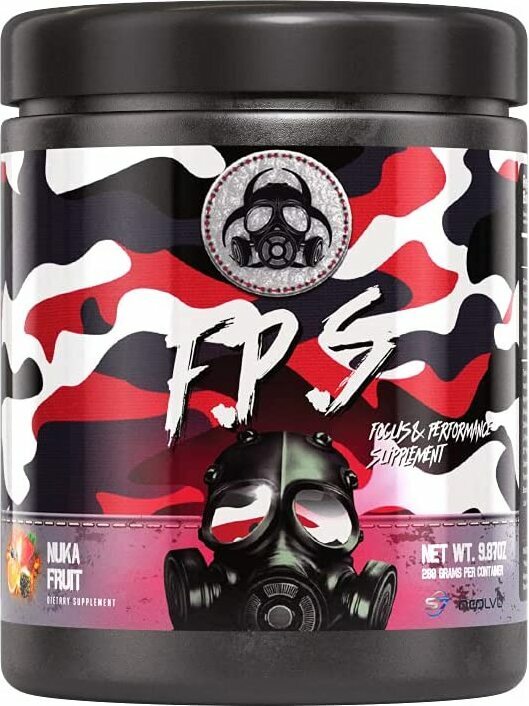 Home » Brands » Outbreak Nutrition » F.P.S. Click here to read about F.P.S. 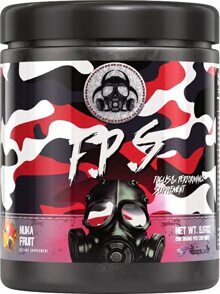 F.P.S (Focus & Performance Supplement)delivers what energy drinks have always promised. When your energy bar is running low, use F.P.S to get your brain firing at full capacity. The complex combination of energy, mood and focus boosting compounds contain 11 active ingredients that work synergistically to dial you into combat mode. Just mix one scoop into cold water and drink as you play. It’s not only lightly carbonated it tastes bloody delicious. L-Citrulline Malate 2:1 - 2000mgA pre-workout favorite for its vasodilation and nitric oxide abilities, Citrulline Malate is all about increasing blood flow. In the case of F.P.S, that means blood flow to the brain – the delivery system for all of the compounds in F.P.S.Acetyl L Carnitine 1500mgThe whopping dose of ALCAR in F.P.S provides clinically proven benefits: enhanced cognition, focus, attention, blood flow and even fat loss!L-Tyrosine 1000mgL-Tyrosine enhances cognition, lowers blood pressure and assists with working memory. It is ideal for stressful situations like when you’re down to 3 players left in the final circle and need to clutch the winL-Arginine 1000mgArginine works synergistically with Citrulline Malate to boost blood flow and enable the brain to absorb all the amazing benefits of F.P.S. The result? Razor sharp focus. Taurine 500mgTaurine has been shown to prevent the mind and body from feeling fatigued. It is vital to many bodily functions and even helps to control blood sugar levels. Glucuronolactone 500mgThe ingredient made famous by big brand energy drinks provides consumers with increased alertness and mental energy. The only difference is that we actually tell you how much is in F.P.S…Caffeine Anhydrous 200mgCaffeine, the age-old pick-me-up is included in F.P.S in an amount slightly higher than that found in a 16oz energy drink.DMAE 150mgDMAE raises levels of Acetylcholine in the brain. This chemical, known as the “Learning Transmitter," allows brain and nerve cells to transmit signals. DMAE helps with depression, boosts mood and has even shown to combat the symptoms of Alzheimer’s Disease. Dynamine 50mgDynamine is a new stimulant that packs a similar punch to caffeine but without raising your heart rate or blood pressure. It’s effective at stimulating the mind without affecting the central nervous system.L-Theanine 100mgTheanine is excellent at preventing stress and encouraging relaxation both during and after taking stimulants like caffeine. It’s vital that once your gaming session is finished, you can wind-down and relax!Huperzine A 10mgHuperzine prevents the all-important Acetylcholine from being broken down by your body, so you have plenty of the good stuff circulating through your body as you tear up your competitors.